In March, I decided to send a card to a magazine, Ett Trykk, for the first time - and it got accepted. This card was in print in the June issue. 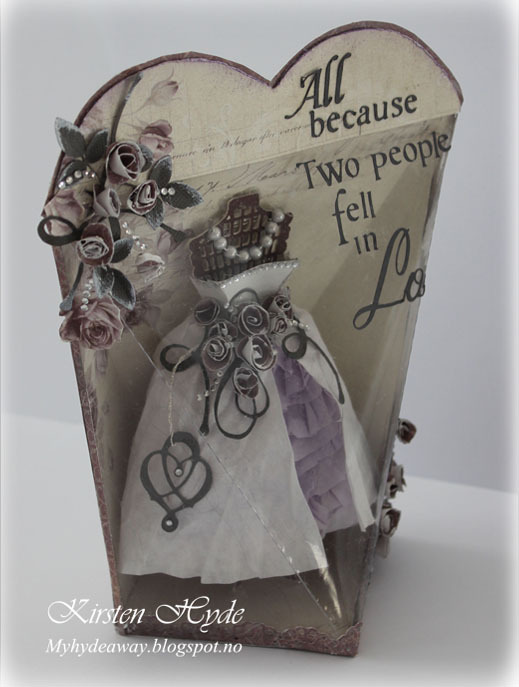 The challenge was to make something for a wedding, so I made a different wedding card. 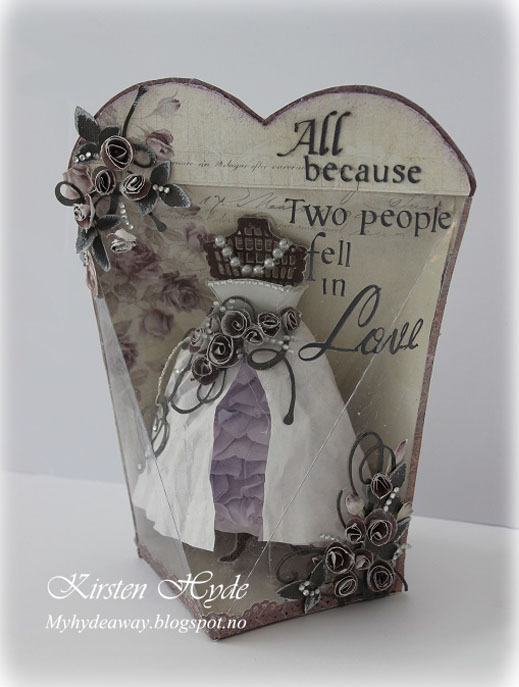 This card is 18cm x 14,5cm x 10cm. 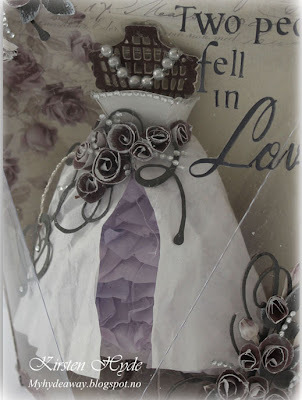 I have used paper from; Pion design – Alma’s Sewing Room – Purple Rose, Designer Paper – Together Forever – Sweet Surrender Collection. Scrappers Choise - Smash – Konfirmant, Karen Foster Paper – Adoption Hearts and gray bazzill. The front of the box is made from acetate. I found the template in a blog from the Netherlands, although I have also seen the template on Home improvement. The dress is made from coffee filters, stained with a mixture of paint and dylusion sprays. All the roses are handmade. The text has been cut with a silhouette - testing how small and thin letters it can cut.